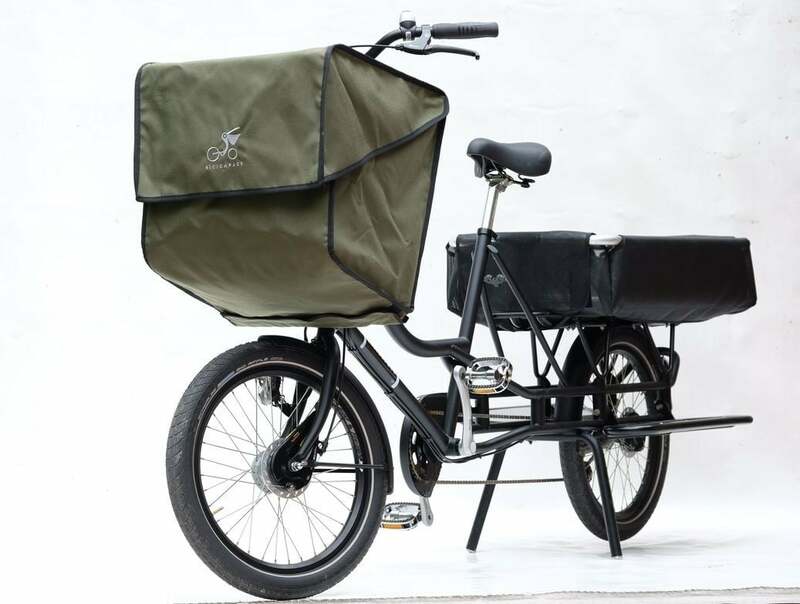 Compact cargo bike hand made in Italy. Incredibly easy and pleasant to ride! 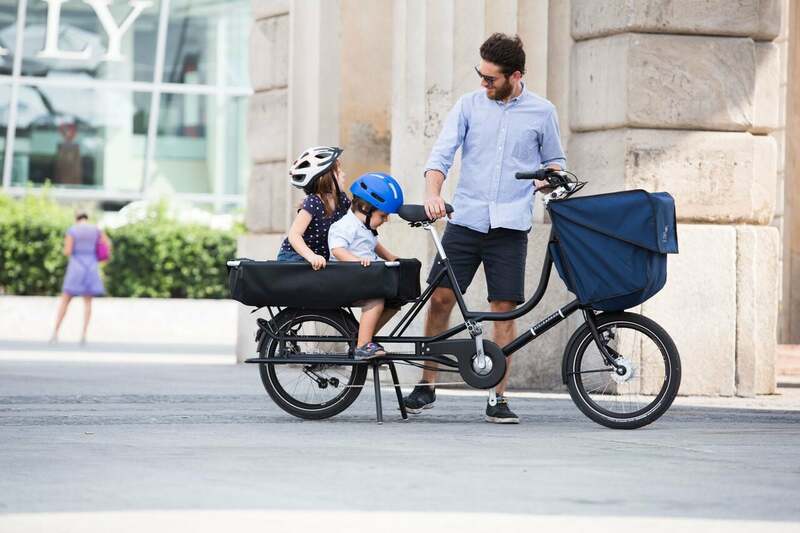 The Just-Long is the latest model from Milan-based cargo bike craftsman Bicicapace. 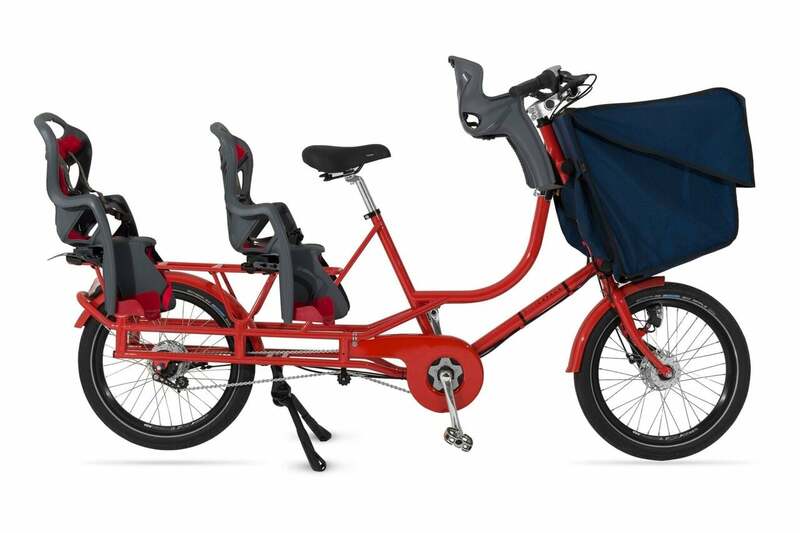 Designed to carry up to three children, and fitted with a 80lts waterproof front bag. The Just-Long has a 80cm long platform at the back. 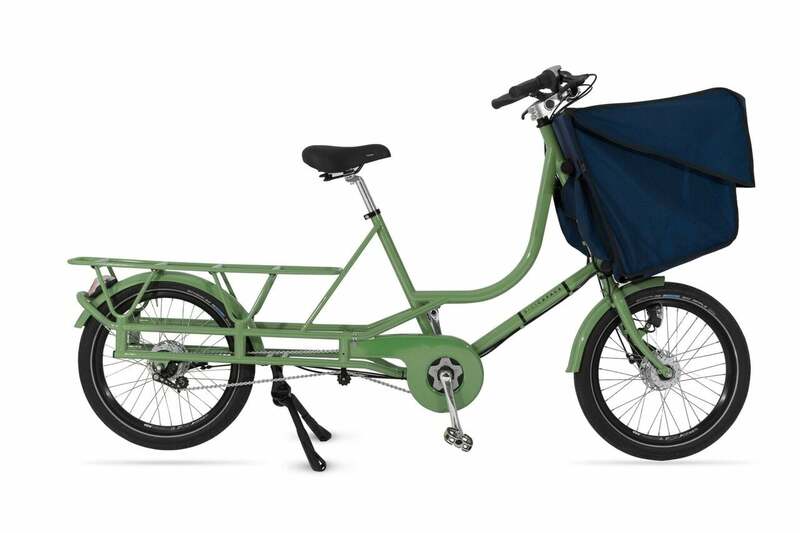 Price includes the bike, front bag and rear carrier. Many further accessories and colours available. 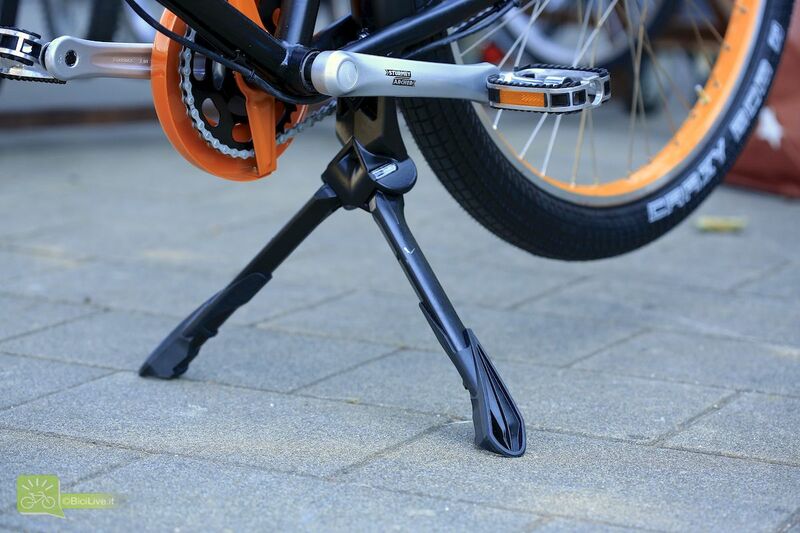 The Just-Long can also be fitted – at extra cost – with a Bafang pedal assist motor. The 80lts waterproof bag is specially designed for this bike and is made of recycled PVC, and can be easily folded flat. 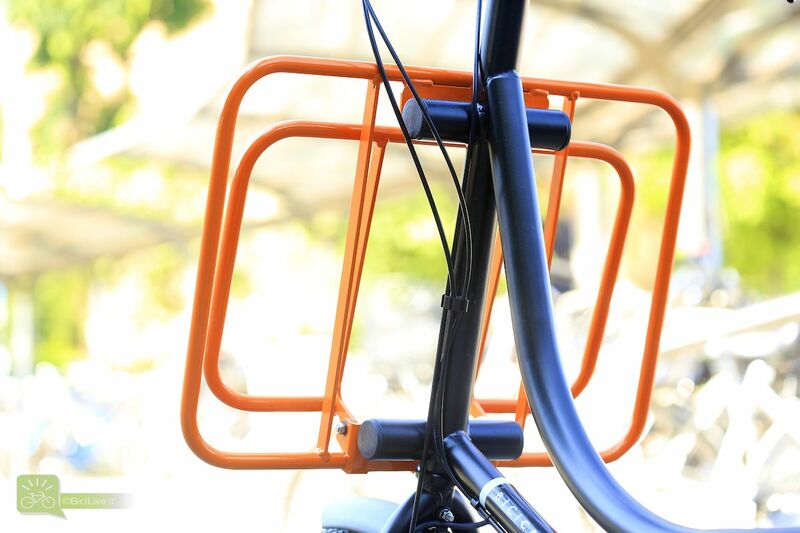 It’s attached directly to the frame so the handling is easy even with full load. The bag has two handy pockets useful for keys, mobile, IPod, maps and more. The bag (and the frame too) can be branded with custom graphics. Rear load: 80cm platform. 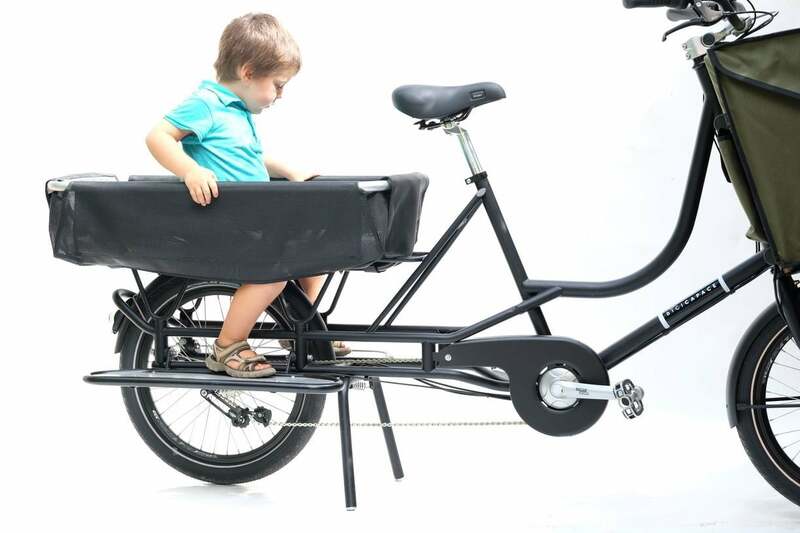 Can accommodate two bike seats or rear basket. The leading model with the front large PVC bag. The handy floor useful to carry extra size volumes. 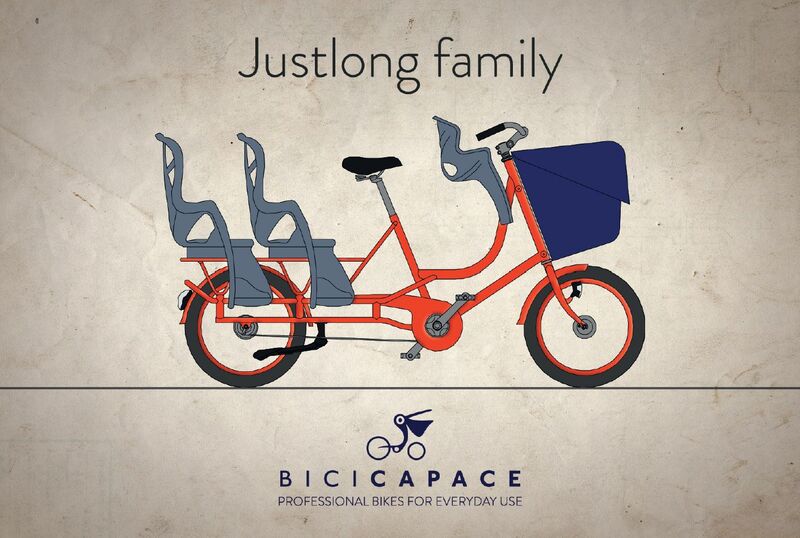 Bicicapace is a Milan-based cargo bike manufacturer with vibrant coloured models. 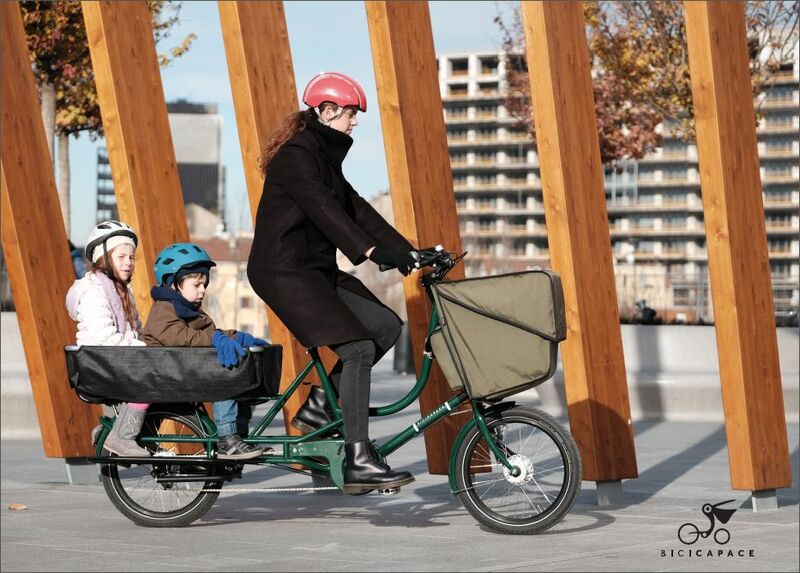 Professional bikes for daily use for families and businesses alike. 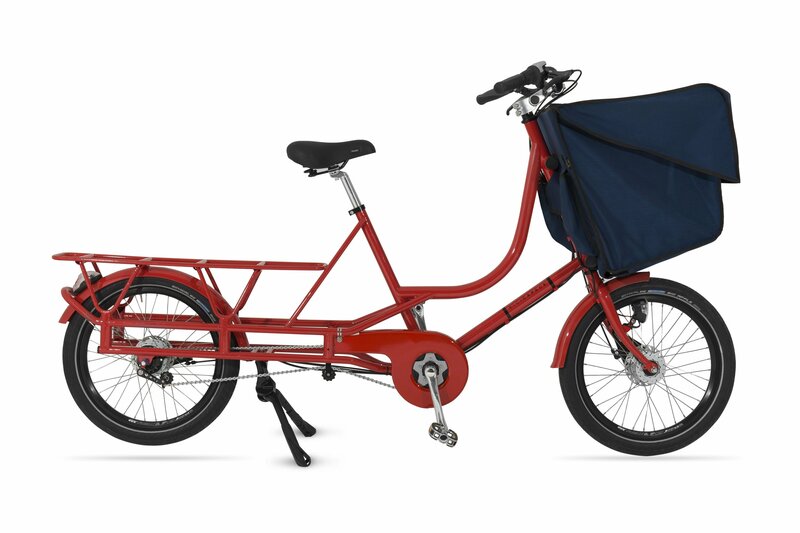 Comfort urban bikes ready to use for carrying anything you need. Hand-made frame build in Italy, assembling in Italy with European supply assistance who care about the best low maintenance components. 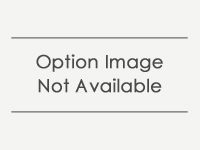 These bikes are great quality and fun to ride.